Topic: Mock Industrial Commission Hearing - Who Will Win? Preparing for your toughest Workers’ Comp hearings? This program includes actual testimony from claim involving voluntary abandonment and examples of ways to use surveillance evidence. Who will win - Employer or Employee? Whether your organization is privately insured or through the state you answer to the same hearing officer. Learn what you are supposed to know through role playing of an actual transcript. Debra Lynch and attorneys Steven Dlott and Mark Gottfried, Meyers, Roman, Friedberg & Lewis LPA will share insight as they role play the transcript with first hand expertise and humor. Both Steven and Mark represent employers in all aspects of workers' comp claims. Debra Lynch is the Regional Manager and Hearing Officer for the Ohio Industrial Commission, Cleveland since 2015. Previously in private practice for a number of years prior to commencing employment with the State of Ohio/Industrial Commission as a DHO in the Cleveland Regional Office. Debra remained in Cleveland as a DHO for approximately 13 ½ years and promoted to SHO in the Canton office in December 2004 until April 2006. She was promoted to Akron Regional Manager April 2006 until January 2015 and supervised the Canton, Mansfield and Akron Industrial Commission offices before returning to the Cleveland Regional Office. Debra has a B.A. from Findlay College and J.D. from Cleveland Marshall College of Law in Cleveland, OH. 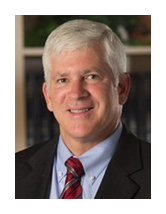 Steve Dlott, an Ohio Certified Specialist in Workers’ Compensation law, defends employers in all aspects of workers’ compensation claims, including defense of fraudulent claims, positive post-accident drug/alcohol-related claims, death claims, and excessive lost time claims. Steve’s workers’ compensation expertise also includes defending employers in VSSR (Violation of Specific Safety Requirement) claims and disputes with the Ohio BWC regarding worker misclassification and successor liability. Steve also counsels employers on return to work issues, light duty assignments, drug-free workplace issues and accident investigations. 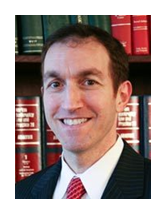 Steve’s background also includes many years as an Assistant Attorney General representing several state agencies. As an Assistant AG, Steve represented several agencies including the Ohio State Pharmacy Board, the Ohio State Medical Board, the Department of Health, and the Bureau of Workers’ Compensation. Steven is a frequent speaker on the defense of workers’ compensation claims to a wide range of employers within private and public sector organizations including presentations in 2013-15 at the Ohio Safety Congress, the 2016 Northern Ohio Safety Expo, and numerous area Safety Councils and various professional continuing education seminars.